Our home is 3 years old in an apartment block of 140 units, all occupied by their owners, with no holiday letting. 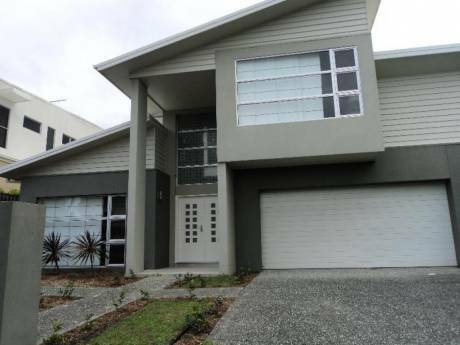 The photos best describe the ideal location at the northern end of the Gold Coast. Although it is a 2 bedroom apartment, one has been converted to an office, so we have advertised it as 1 bedroom. We face north-east which is ideal for taking advantage of the morning sun on our 20 square metre balcony, where we have our dining table and BBQ. The shutters close as protection from the weather. The complex has a resort pool, a heated lap pool, a gym, and sauna. It is very comfortable and in some ways more like a holiday home. You can laze away the hours on the balcony watching pelicans fly past, or enjoying all the water activities with jet-skis, paragliders, wind-surfers and the many cruise boats in the area. Whilst the direct view is across to the seaway we can see from Runaway Bay to Surfers Paradise. We are in our late 40's/early 50's. Heather is an accountant and Rob is a finance broker running his own business. We enjoy golfing, eating out, movies and the odd glass of wine. We have 2 grown up sons and 1 grand-daughter, who all live on the Gold Coast. We are non-smokers. 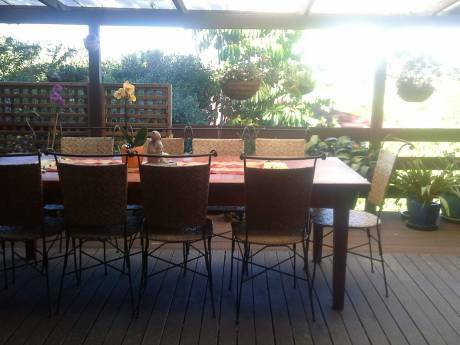 This would be our first home exchange, and see it as an ideal way to travel to other states in Australia. Ideally we would also like to have the availablity of a car wherever we go, and offer that facility to the couple who stay in our home. 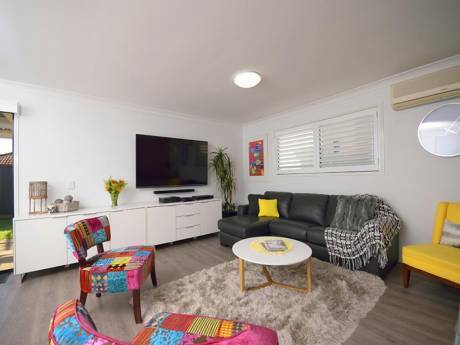 We are located at Labrador, within 5 minutes walk of a hotel, 9 great restaurants, the best seafood shop on the Gold Coast, a boat ramp, taxi rank and bus stop. Two of the local fishing charter boats pick up passengers opposite our building every morning. Within 20 minutes drive there are 5 major shopping centres and more than a dozen top class golf courses. 3 movie theatres are within similar driving distance, with Surfers Paradise only 15 minutes away.